"William J. Whipper and Jonathan Jasper Wright: Beaufort and South Carolina's First Civil Rights Lawyers"
Before joining the law school faculty, Lewis Burke was a VISTA Volunteer and a legal services attorney. As a clinician, Professor Burke continues represent low income clients. In 2003 he was awarded the “Outstanding Faculty Service Award” for his years of community service including Habitat for Humanity, Appleseed, and his pro bono representation of a death row client. Burke also received the law school’s “Outstanding Faculty Scholarship Award” in 2002 and 2007. He has authored or edited four books. These are: Truth in Lending and Credit Disclosures (1986), At Freedom’s Door: African American Founding Fathers and Lawyers in Reconstruction South Carolina (2000), Matthew J. Perry: The Man, His Times and His Legacy (2004), and The Dawn of Religious Freedom in South Carolina (2007). His articles, essays, and chapters have been in books published by such university presses as Oxford, Vanderbilt, Georgia, Mississippi, and South Carolina and in journals such as American Journal of Legal History, The Nineteenth Century American History Journal, Journal of African American History, Journal of Contemporary Law, South Carolina Law Review, Journal of Southern History, the Alabama Review, and the Journal of Mississippi History. He was commissioned by the Institute for Public Service and Policy Research’s 50th Anniversary of Brown v. Board of Education Project. His study “He’s in the Jailhouse Now: Justice in South Carolina,” was published in the institute’s “…and Miles to go Before I Sleep” in 2004. 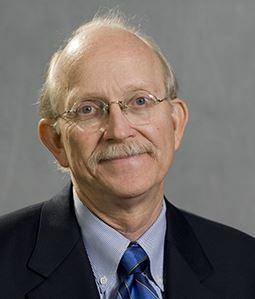 His most recent publications have included “United States v. Amistad (1841)” and “Richard Harvey Cain’s, All That We Ask Is Equal Laws, Equal Legislation and Equal Rights” in Milestone Documents in African American History(2010), “IT’S A GIRL: Jean Hoefer Toal and the Rise of Women in the Legal Profession,” in South Carolina Women: Their Lives and Times (2012), a review of Volney Riser’s Defying Disenfranchisement in the Alabama Review (2012) and “Pink Franklin versus South Carolina: The NAACP’s First Case,” forthcoming in the American Journal of Legal History. Presently he is finishing a history of black lawyers in South Carolina which will be published by the University of Georgia Press. Books may be purchased and autographed by the author after the event!